This is the time to begin reaping the harvest from all of our gardens and maybe a good time to enjoy this picture of a garden from long ago. 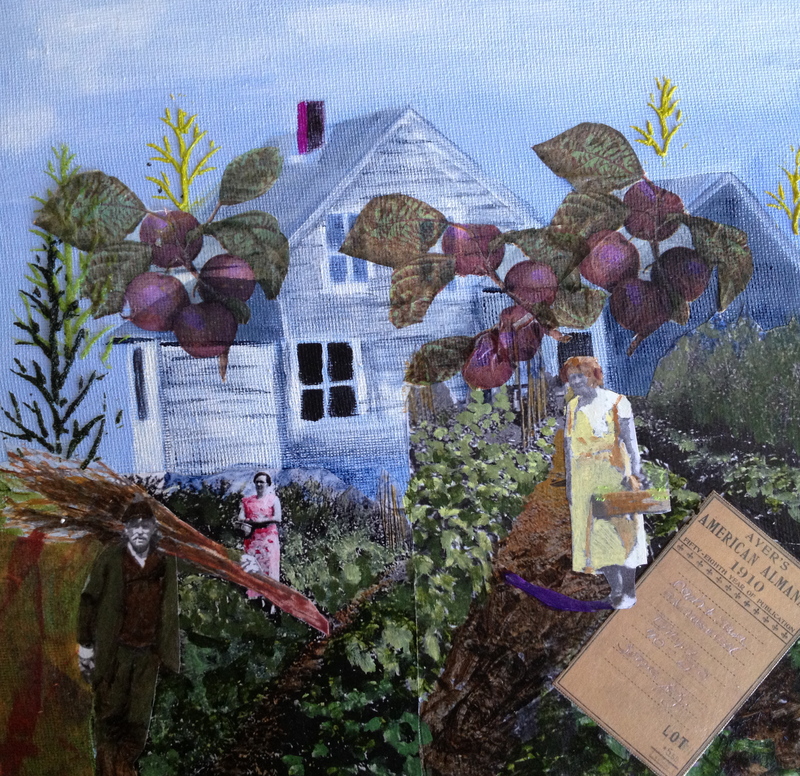 The title is Maddie’s Garden and it depicts 3 neighbors working in the garden. In the left front corner is Hoyle Hanson, he appears to be hauling brush to tie up the peas. Behind Hoyle is Madge Coombs, and the focus of this picture is Maddie Sargent. I believe this was her garden and that is her home in the background. Come to the Winter Harbor Library on Saturday, August 17th from 1:30 to 4pm to see this piece and many more new works. Enjoy talking about the works and the people and places created from vintage photographs. Have some refreshments with us. This show will be up in the library from August 17th until September 14th. The library hours are Saturday from 12pm-4pm, Wednesday from 12pm-4pm and Friday’s from 10am-4pm.